The choice to end a wanted pregnancy due to medical complications is heartbreaking. Whether the reasons are related to you or your baby, you’ve no doubt had to make a decision you never wanted to make. Even if you’re confident you’ve made the right choice, you’ll still be faced with a lot of emotional reactions after. Women who experience pregnancy loss can struggle with whether or not they have the right to grieve. 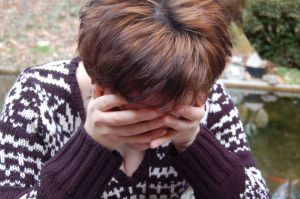 The death of a child is difficult for people to talk about, and many grieving mothers are expected to keep their sadness private to avoid awkwardness. That feeling is magnified for women who had gone through a therapeutic termination because they ultimately chose to end their pregnancies. The truth is, you have the right to grieve your loss. Your expectations for your pregnancy were drastically changed by the diagnosis of a life-threatening condition for you or your baby. You would not have made the choice to end your pregnancy if a positive outcome were possible. It is perfectly understandable that you’re feeling sad, and experiencing the many physical, emotional, and psychological symptoms of grief. Nearly all parents feel some feelings of guilt after a pregnancy loss. It’s hard not to wonder what you could have done differently, or if you made the right decision. In the case of a therapeutic termination, you no doubt went through extensive testing and counseling with a perinatologist to assure you that your baby’s diagnosis was fatal. Even with those assurances, it’s never easy to end a pregnancy. It’s important to recognize that guilt is a natural response, but in a case like this—where you didn’t have the power to change the situation—it’s a generally unhelpful emotion. There is no easy or universal way to get past feelings of guilt, but you can find ways to cope. There are two treatment options for a therapeutic termination, a dilation & evacuation (D&E) or an induction of labor. The second method is actually more common because of the risks associated with a D&E later in pregnancy. If you do have a medically induced labor, your experience will be similar to a second trimester miscarriage. One of the benefits of having an induction is the opportunity to see and hold your baby after delivery. You should be offered the chance to collect mementos of your baby, including footprints, photographs, and a chance to name your baby. This is precious time that you will not have second chance at. When you are discharged from the hospital, grief work continues. Your emotions can range through the entire spectrum, from anger to sadness, and even moments of happiness. All of these feelings are normal and part of a healthy grieving process. Depending on how far along you were at the time of your termination, you may have to deal with the baby gear you’d started to set up for a nursery. You’ll also have to figure out how to share the news of your loss with friends and family. Although you’ll probably find that most women in support groups for pregnancy loss have been through a miscarriage or stillbirth, you may still find it beneficial to try a group situation. If you’re more of a private person, consider a way to express yourself, such as journaling or another creative activity. It may seem inappropriate to have a funeral or memorial service for a pregnancy you chose to end, but funerals are an important part of the grieving process for many people. A chance to say goodbye and recognize the humanity of your baby with your family and friends present to support you. There are many helpful resources for funeral planning available on this site. There is no deadline to “get over it.” Grief is a process and a journey. You will have moments where you begin to feel that you’re moving on, only to be set back by something, like an anniversary, the holidays, or your first family vacation after the loss. It’s natural to have these moments where the sadness feels fresh again. However, if your sadness and physical symptoms begin to interfere with your life, or your ability to care for yourself and your family, it may be time to seek professional help from a therapist or psychiatrist. If you ever have thoughts of harming yourself or someone else, seek immediate professional help from a doctor or the police. If you can’t get to an emergency room on your own, call 9-1-1. Most therapeutic terminations are the result of a chromosomal abnormality in the fetus that is incompatible with life. However, in some cases, the cause is related to a genetic problem in one of the parents that could repeat in another pregnancy. In cases where the termination was recommended as a result of the mother’s health—severe pre-eclampsia, infection, or chronic health condition—there is also a chance of the condition repeating in another pregnancy. The best option to is schedule a follow-up appointment with your OB/GYN, and the perinatologist who managed your termination. They may recommend a visit with a genetic counselor as well. Your providers will be able to give you a much better idea of your chances of having problems in future pregnancies. The decision to try again after any pregnancy loss is a personal decision. Keep communicating with your partner as you decide if you even want to try again. It’s also OK not to try again. Trust your instincts as you think about another child, and remember that communication is the key to coping in a healthy way.